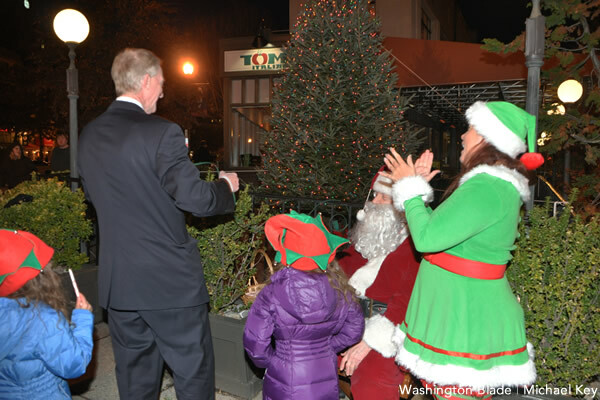 Historic Dupont Circle Main Streets held a tree lighting ceremony on Saturday evening in front of La Tomate. 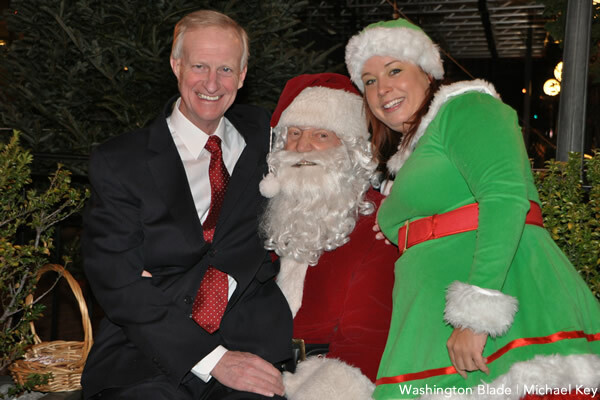 Santa and his elves were joined by members of the Advisory Neighborhood Commission and D.C. Council member Jack Evans (D-Ward 2) for the event. Evans told Santa that for his Christmas wish, “I want to be mayor!” The assembled crowd laughed and applauded. This was a great event! We had a lot of fun with the kids! !